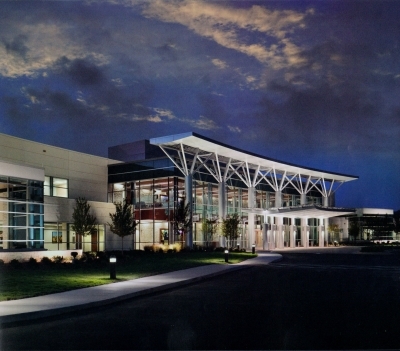 Ty Cobb Healthcare System, Inc. The Ty Cobb Healthcare System began as only a single hospital. 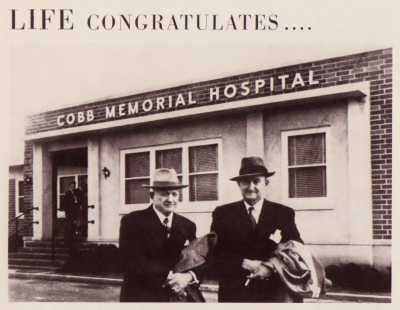 Cobb Memorial Hospital was dedicated in Royston, Georgia, on January 22, 1950, to the glory of God and in loving memory of Ty Cobb’s parents, William Herschel Cobb and Amanda Cobb. The 63-year-old, ex-basestealer, who parlayed his baseball earnings into a fortune in Coca-Cola stock, Ty Cobb donated $100,000 to help his hometown of Royston, Georgia, build a 24-bed hospital, fitted with the latest equipment. 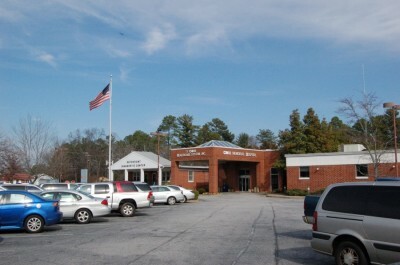 The institution was initially run by Cobb’s boyhood friend, Dr. Stewart Brown. The original Board of Directors of the proposed hospital held their organizational meeting at the home of Dr. and Mrs. Stewart Brown, Sr. on November 6, 1947. 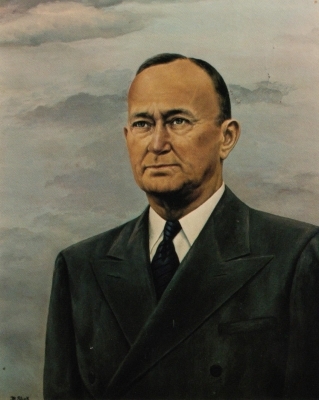 Dr. Brown, a widely respected physician and surgeon, served as Cobb Memorial Hospital’s first superintendent. 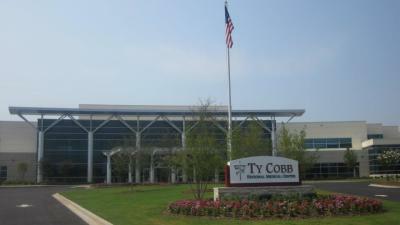 Ty Cobb Healthcare System is a private self supporting nonprofit health care organization consisting of Cobb Memorial Hospital, Cobb Memorial Outpatient Diagnostic Center, Brown Memorial Convalescent Center, Cobb Health Care Center, Home Base Health Services, Hart County Hospital, and Cobb Center Apartments, Inc.
Ty Cobb Healthcare System Incorporated announced on June 10, 2009, that it would close down Cobb Memorial Hospital and Hart County Hospital and consolidate them into a new $52 million, 56-bed, regional medical center in nearby Lavonia, Georgia, called Ty Cobb Regional Medical Center. 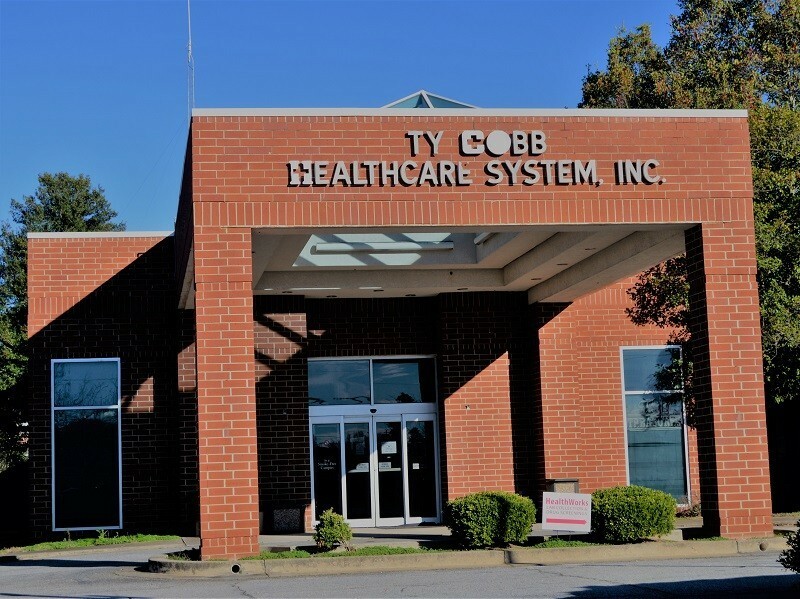 Ty Cobb Healthcare System applied to the state Department of Community Health in mid-July for formal permission to build the new hospital. Tyrus Raymond Cobb stood on a platform outside of a newly bricked building and dedicated the COBB MEMORIAL HOSPITAL in memory of his parents, Herschel and Amanda Cobb. The ceremony took place on Sunday January 22, 1950 with over 3,000 people on hand for the dedication. "This building and everything in it belongs to you people around here to whom I've always had in my heart," said Mr. Cobb.